I have been praying over my blog and our missions website. God has called me to this to do His purpose and give Him Glory. 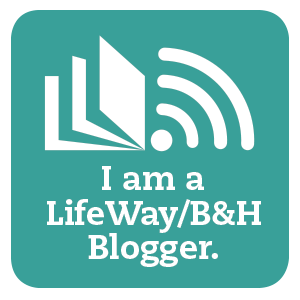 I found God speaking to me about how I blog, inviting me to include HIM more directly and less indirectly here at Faithful Homeschool. Enter Ann Voskamp and her site, A Holy Experience. 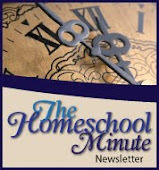 I had the pleasure of meeting her blog when I hosted the Homeschool Carnival in February. This weekend, as I caught up on different blogs I like to follow, I was reading Ann's recent entries and became acquainted with Multitude Mondays. It is like the giving thanks to God version of Miscellaneous Mondays - the two meshed together for a wonderful blog idea that gives God all the glory! So why not count my blessings in the miscellaneous and multitude here every Monday! You can join me too! Click on the linked picture above to learn more. 1. My children, doctors later admitted, should never have been conceivable... literally. A complete hysterectomy by my 30th birthday revealed a uterus and ovaries that, in most woman, would have rendered them infertile. Yet I was blessed 4 times over... thank you Lord! 2. Silliness, my children keep me young and light hearted with their silliness! 3. Homeschool because every moment of each day is made more special just spending it with my children and seeing their wonders and sparks in learning. 4. God's amazing wisdom to know what we need... and what we don't need... so we can serve Him more completely! 5. My mother-in-law's generosity to open her tiny home to this big family! 7. Listening to the still small voice of my 8 year old read, "Home for a Bunny" because bunnies are her favorite and the book is adorable! 10. God spontaneously putting a song in my heart today... "Hosanna" and Hillsong singing it beautifully. After watching the video on YouTube I was reminded of what a powerful prayer the lyrics form. May you know the Peace of our Heavenly Father today in such a way that inspires gratitude in all the little things (and big)! Praise the Lord for your husband..I rejoice with you!!! SO many things we take for granted and simply think God has taken a backseat to, but we have to remember He is faithful, He is Good and HE IS! Nice to meet you and looking forward to reading more about you! Thank you Mrs. C :-) God IS so good. There is a song out by Kutless called, "What Faith Can Do" and whenever I hear it, I think of my husband and the miracles I have seen God perform in him (and others in my life). Thank you for visiting 'me'!